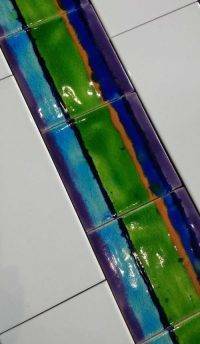 Custom made, special commission tiles..completely unique for you ! 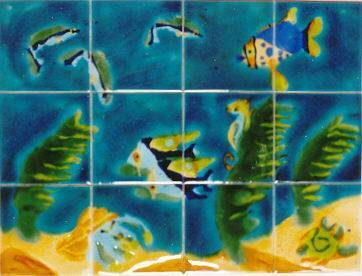 We would love to create something just for you , from one tile to a complete wall of gorgeous tile designs. 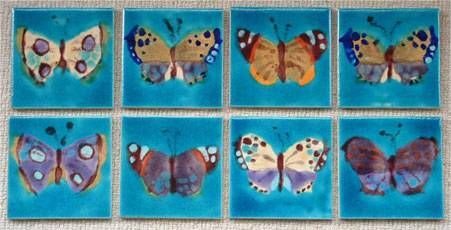 Please contact us & have a chat about how we can design something special to your particular requirements. 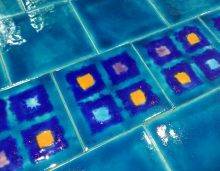 Perhaps you know exactly what tile design you’d like – great ! 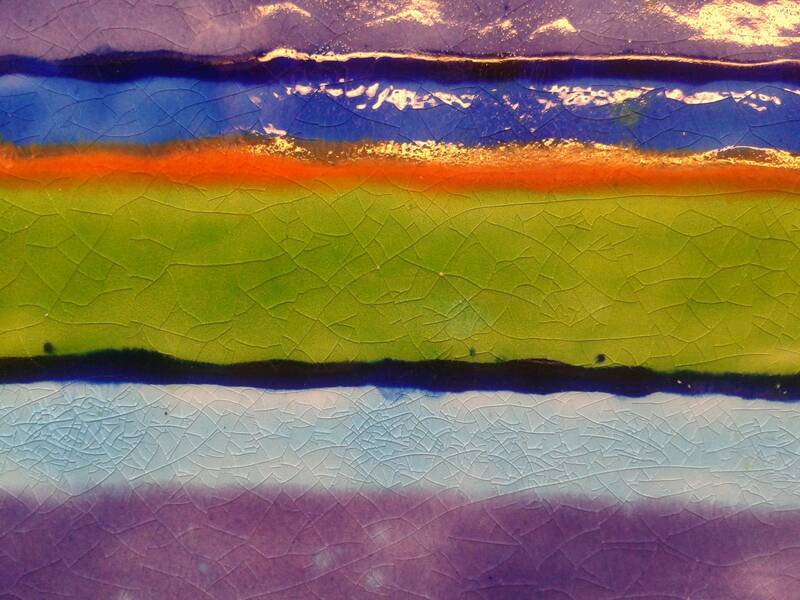 Ring us up & let’s discuss how we can make the process as easy & enjoyable for you as possible . 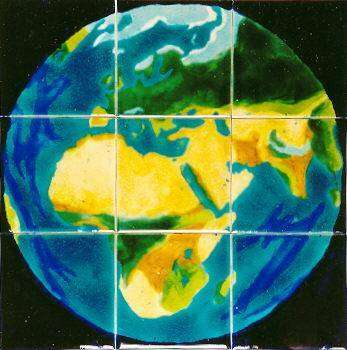 Or maybe you have only a vague idea of what you may like but are unsure how it might look on a tile … also great ! 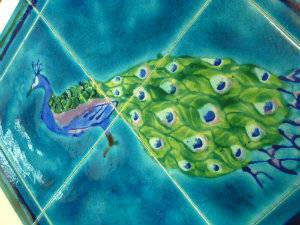 We have loads of ideas that we can have a chat about & you can then have a think about the possibilities . 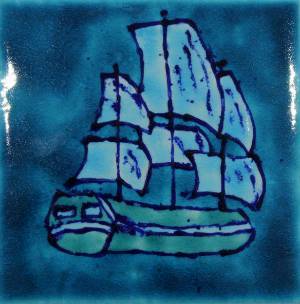 We have designed & hand-painted bespoke tile commissions that are as small ( but still very special !) 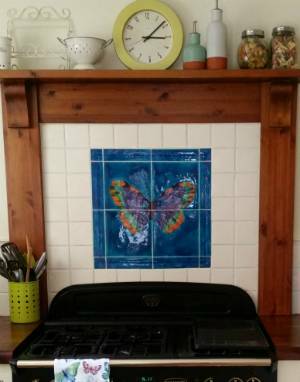 as one tile with children’s names around their favourite fish , a Peacock panel as a 70th birthday present from a daughter to her mum , up to a huge underwater Coral Reef scene with vibrant Tropical fish fleeting about for a wall next to rather splendid swimming pool ! 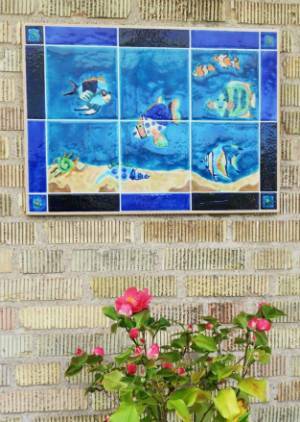 Another very popular idea is to use one of our current tile designs but change it to complement your own room decor, for example, change the direction a fish is swimming in or swap one colour for another . 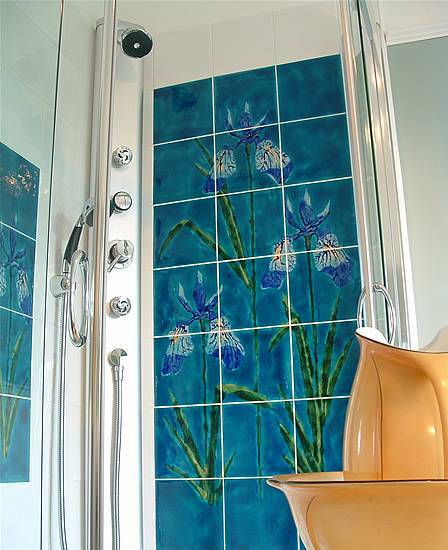 As each tile is hand painted ,we are delighted to help & these changes can be easily accommodated. 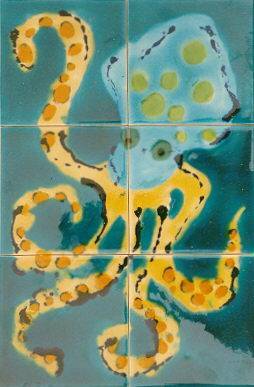 Below are a few examples of some of the custom made tile designs we have created … for our very latest designs, please follow us using the button at the top of the page on Instagram , Facebook & Pinterest ! 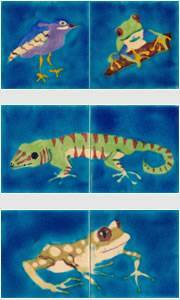 Custom designed handpainted tiles on 15 x 15cm tiles. 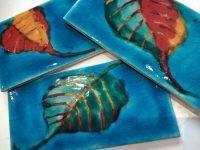 Bespoke hand made Leaf tile designs. 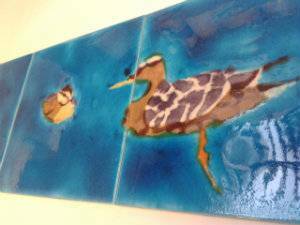 A bespoke tile commission for a Fox tile . 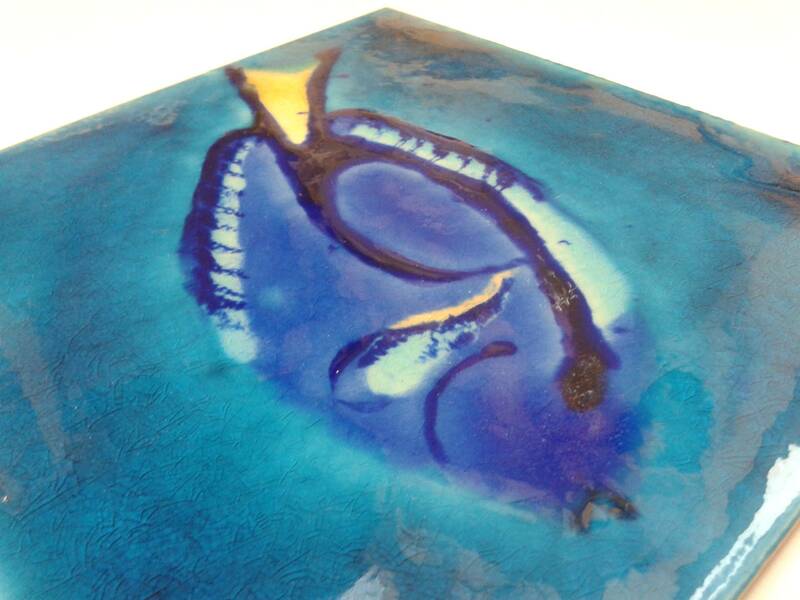 Blue Tang Fish on 20x20cm tile.